From the moment the doctor says, “It’s a girl!” we fathers witness the surfacing of a phenomenon that was placed within us by God. The emotions that appear seemingly from nowhere include an innate sense of protection, love, and awe that we fathered a daughter into the world. But it is much more than that. 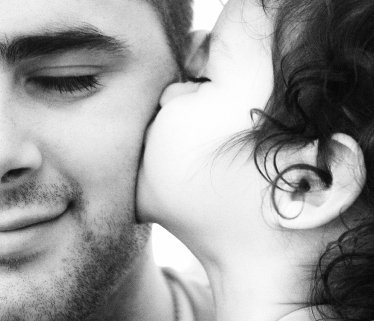 We dads will protect our daughters at any cost . . . any cost. That means we will fight for them, sacrifice for them, hover over them which at times incurs their displeasure, and if necessary, go to jail for them. I have been known to pull a 9mm semi-auto, and even a shortened (slang for sawed-off) shotgun on a few unsuspecting fellows, but I never shot one . . . not that anyone can prove. So here are some questions to ask about the young man she wants to marry. It’s not only fair to ask questions, it’s your job as dad to do so. But more importantly, teach your daughter what to look for in a man and to ask herself these critical questions about him. It’s one of the greatest gifts you can give her. This is not a question you should have to ask him. It should be evident in every aspect of his life – from the language he uses, to his knowledge of Scripture, and even more importantly, his application of the Word in his personal life. Here again, we can see this from personal observation. Does he open the door for her? Does he scream at her, or instead, does he treat her with respect? Does he ever poke fun at her at her expense? Some joking is part of life and fun, but the key phrase is at her expense. If it is, then it’s not fun – it’s bullying. Give her two options: She can kick him to the curb, or you can offer to do it for her. That’s where the jail time often comes in (so incredibly worth it). Prioritizing life is a challenge and it’s easy to make mistakes. But I’m talking here about priorities upon which all else is based. For example, this young man should put God first, your daughter (his wife) second, his children (in the future) third, work fourth, and the rest last. When we’re young it’s easy to focus on wealth, but this is changing in our society with a new awareness of the futility of riches and the truth of the Great Commission. Where does this young man stand? Is he focused on eternity – or prosperity? She will thank you for it one day, and she’ll forgive you for pulling out the shotgun when it was needed. Really . . . she will. She did. Next: CAN FOLLOWING GOD BE BAD?